Moustaches on Strings: Swiggity Swag, What's in the Bag? Ooooh, man. I'm lazy. 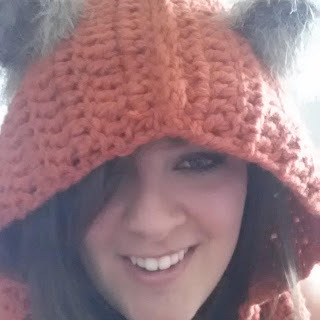 I promised the pattern to my ewok hoodie probably a month ago on instagram and twitter. I had it all written up, correct stitch count, materials used, everything. But I never got around to it. I am a piece of work. It's not like I've been too busy to post it, just lazy. Anyway, here it is. Row1: ch 2, skip 1st stitch, dc in every stitch to end. sl st to 2nd chain at beginning of the row. Row2-7: ch 2, skip 1st stitch, dc in every stitch to end. sl st to 2nd chain at beginning of the row. set place marker where you broke off yarn. count out 21 st from pm on both sides. fold in half and sl st closed. weave in ends. ch 6, sl st through 1st stitch to form magic ring. ch 3, dc 11 into center of ring, sl st into 3rd ch. ch 3, 2dc into each stitch, sl st into 3rd ch. ch 3, dc 1, ^dc1, 2dc. repeat from ^ around the circle. sl st into 3rd ch. fold the circles to make them look like ewok ears, and whip stitch onto hood. rock your new hood like a champ. Really. A lot of new stuff is going on. Okay, not a lot. Two new things. One thing I've been planning for three years. Yes, since I was living in Maryland and I've been too much of a baby to actually do it. Can you handle the anticipation?? 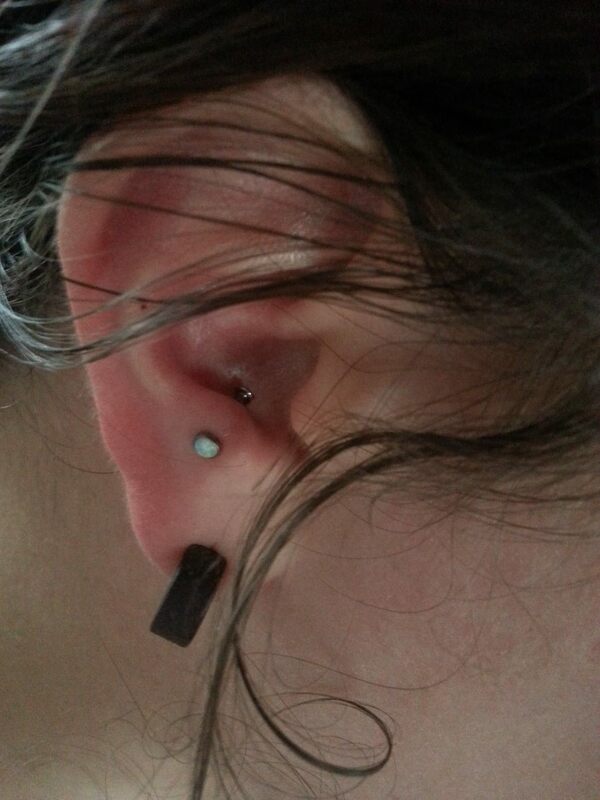 I finally got my anti-tragus pierced! I love it so much. I won't lie to you guys, it hurt. Quite a bit. Just enough for me to say, "Oh, there it is," when the needle went through the cartilage. What really hurt the most was putting the earring in. I settled on a gorgeous white opal labret. It hasn't been too sore. The only thing that has set me back was sleeping. I get a little paranoid that I'll rip it out of my ear in the middle of the night, lose gallons of blood, and ruin my bedding. I've been itching for another one ever since I walked out of Studio 51/50 in Kearney. I think maybe a snug or orbital helix is somewhere in my near future. Maybe when I go in three weeks from now when I get this one checked. I'll keep you posted. Also, I dyed my hair blue. It took me three freaking times. I am an adult. Hire me. And look at my new Giants shirt. 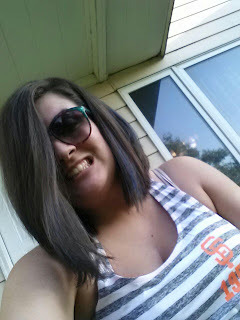 I Write Nasty Things About My Cousin on My Blog.